Fiumano Fine Art is delighted to present “Girls from the Village - Innocence, Purity and Beauty”, by Hungarian artist Endre Röder. The exhibition will feature new works created in 2016 alongside never seen before paintings charting Endre’s forty year career as a successful and widely collected artist. Endre Röder paints with honesty and a genuine understanding of his muse: women and the essence of femininity. Endre has dedicated his entire artistic career to painting the beauty he sees in each of his models. In his most recent works Endre has selected models who radiate the often incidental allure of young women on the cusp of maturity. Not yet quite used to the curves and sensuality of womanhood, these young adults have a natural beauty that is both arresting and delicate. 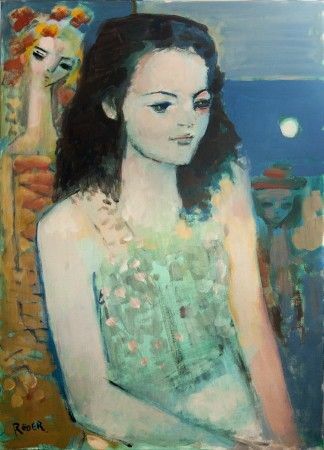 Endre’s distinctive and accomplished painting style has a clear foundation in the ‘rules’ of classical painting, yet has a uniqueness that ensures it is firmly rooted in the contemporary. Unlike many modern figurative artists Endre is able to capture the elusive quality in each of his sitters that takes the viewer beyond simple reality.